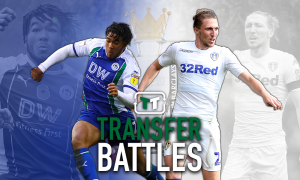 Transfer miss: The £15m hardman who only had eyes for Old Trafford after Leeds interest | The Transfer Tavern | News, breakdown and analysis on all things football! Mark van Bommel, Netherlands’ resident hardman, former Barcelona, Bayern Munich and AC Milan star, was targeted by David O’Leary’s Leeds United in 2002. Leeds United were in desperate need of some solid quality in midfield and having failed to sign summer transfer target Keiron Dyer, who was set to join Newcastle, Mark van Bommel was their man. According to the Daily Mail, Chairman Peter Ridsdale and then-manager David O’Leary were long-term admirers of the PSV Eindhoven enforcer, having tracked the player over a period of 18-months, and were prepared to table a £15 million bid to secure his services. 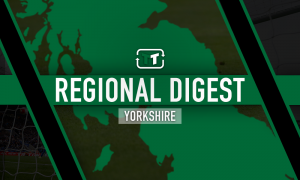 Leeds’ lacklustre performances in Europe – yes, it really was that long ago – was said to have spurned the club’s decision to make bold movements in the market, and Van Bommel, 24, was the most ambitious of all. Ridsdale said: ‘Our club needs to build its team, and to do that you need money. Nobody is saying we don’t want to be in the UEFA Cup. This, the FA Cup and even the Worthington Cup are financially very rewarding. When you search Mark van Bommel on YouTube you will not find well-edited videos of the Dutchman dancing around players and pinging shots from 30-yards. Instead, you will compilations upon compilations of him flying through players, committing fouls, assaults, earning bookings, and suspensions – you name the infringement and it is probably conveniently documented somewhere. 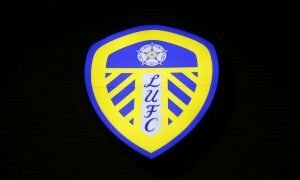 There are clips from his PSV Eindhoven days, as well as ones from his stints with Barcelona, Bayern Munich, AC Milan and the Dutch national team, but nowhere will you find Leeds United. Why you might ask? Well, easy answer: the move never came to be. Indeed, despite all of Ridsdale and O’Leary interest and optimism, Van Bommel was decidedly uninterested in the prospect of joining Leeds United. “I have heard about Leeds but if I move to England, I want to go to Old Trafford,” the 24-year-old was reported to have said at the time (as per Sky Sports). Van Bommel would instead join Barcelona where he won one Champions League, one domestic title and two domestic cups, before moving to Bayern Munich. His commanding performances in the midfield role were lauded far and wide, and fans will likely never forget how he quite literally battled the club towards two Bundesliga titles and two cup wins. AC Milan was equally as fruitful, and perhaps the most significant, in a way, because it was the last time anyone other than Juventus won the title. You will notice a trend forming. Winning. Needless to say, a department Leeds United were lacking in shortly after 2002.